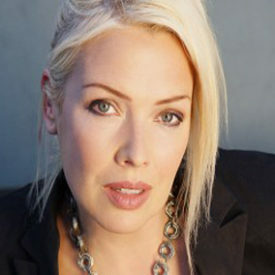 The daughter of 1950s British pop singer Marty Wilde, Kim Wilde had several pop hits during the 1980s. Initially, her synth-driven pop fit in with the new wave movement, but as the decade progressed, it became clear that her strength was mainstream pop. In 1980, Kim Wilde signed with producer Mickie Most’s Rak Records, releasing her first single, Kids In America , early in 1981. Kids In America climbed to number two on the British charts that spring, while her second single, Chequered Love , made it into the Top Ten; her self-titled debut album performed as well as her singles. The following year, Kids In America became a Top 40 hit in America, while Select kept her in the British charts. However, Wilde wasn’t able to keep her momentum going and it wasn’t until late 1986 that she had another hit with a dance cover of the Supremes’ You Keep Me Hangin’ On , which charted in the Top Ten on both sides of the Atlantic. Wilde never had another hit in America, yet she was back in the charts in the summer of 1987 with Another Step (Closer to You) , a duet with Junior Giscombe. After the single’s success, she began changing her image, becoming sexier. The approach didn’t entirely pay off, though she had a handful of hit singles from her 1988 album, Close2 , including You Came ;, Never Trust A Stranger , and Four Letter Word . Wilde continued to record in the 1990s, scoring the occasional hit, either in the dance or adult contemporary field. 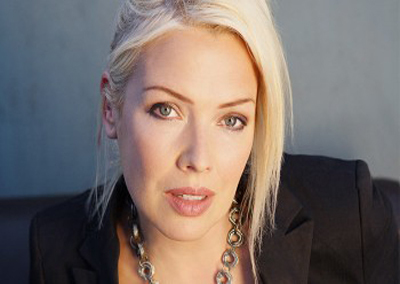 New music also followed: in 2001 she recorded a new track, Loved , for a compilation album which became a surprise hit in Belgium, and in 2003 she had pan-European success with Anyplace, Anywhere, Anytime , a duet with another 1980s pop star German singer, Nena. In 2006 Wilde signed a new record deal with EMI and released the first single from her tenth studio album in many countries across Europe, Scandinavia and Asia. You Came 2006 charted well in most of these countries, becoming her biggest solo hit in Germany since 1988. The second single from the album, which was voted for by fans on her official website was Perfect Girl , released in November 2006, it did spend nine weeks in the German singles top 100. A third single Together We Belong was released in March 2007. The album Never Say Never includes eight new tracks plus five completely re-worked previous hits of hers and has charted well in Belgium, France, Switzerland, Austria and Germany (where her profile has remained high since the duet with Nena). There are no plans at the moment to release the album in her home country. A fourth single from Never Say Never was released in Germany in August 2007. The song Baby Obey Me has been remixed and added some rap by the German rapper Inspector.